Buying royal jelly can be a confusing experience. Growing up on the Dutchman's Gold Bee farm and now as a Registered Nutritional Practitioner, I can appreciate all the misinformation that is out there regarding royal jelly. At one time, I helped own and operate a chain of health food stores and the customers coming through the door were often educated only by a website they came across online. While the internet it a wonderful tool, it doesn't discriminate in the information it helps spread - right or wrong, you can find it online! So the purpose of this article is to help bring some clarity to the topic of buying royal jelly while providing you with some tips of what you should look for in a quality product. There are huge variances in the quality and prices of royal jelly. This is a result of the large differences in quality and the sources of the many products on the market. For example, low grade Chinese royal jelly is quite cheap and there is a great deal of it on the market in both the United States and Canada. Not all Chinese royal jelly is low grade but a large percentage of it is. So if the product you are considering is suspiciously inexpensive, this is a good sign that it is of low quality. Our royal jelly products tend to be a bit more expensive due to their higher quality source and the more expensive handling procedures that they undergo. There are a great number of websites on the internet selling royal jelly through affiliate programs. While this is an ok practice, it is not an ideal situation for the customer if knowing and trusting the source of your products is important to you. If price is your only concern, this is a nice option for you. However, if dealing with royal jelly experts who are fully engaged in the business at the grass roots level and deal with the raw material suppliers on a regular basis to ensure only the best ingredients are used is important to you, I suggest you buy direct from an operating bee farm like Dutchman's Gold. Royal Jelly is highly perishable. Extracting, cleaning and processing it is very labor intensive and time consuming. 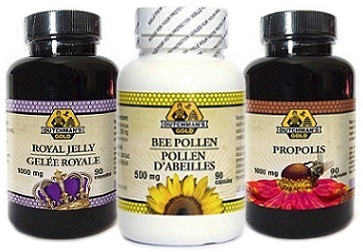 It is important to buy royal jelly that has been handled properly upon collection. In the case of powdered products, it is important that the drying process be done in a manner not to damage the delicate nutrients found in RJ. When it comes to most foods, raw is better. In a perfect world (which we don't live in) we'd all eat raw, unprocessed foods ALL the time. The problem is, raw royal jelly isn't for everyone. Fortunately, quality freeze-dried royal jelly works just as well, if not better than the raw product. This is because when you freeze-dry RJ, you are left with a concentrated product. So if possible, buy royal jelly that is freeze dried if you're not into a raw product. The key to quality royal jelly and maximizing the benefits of this amazing superfood is no heat. Royal Jelly contains a vast amount of vitamins, minerals and fatty acids that are all amazingly beneficial to your health. Unfortunately, too much heat over time can destroy some of these health building nutrients and decrease the quality of your bee pollen. So, it is important that when you buy royal jelly, you ensure that it has been properly stored and cooled to guarantee its potency and freshness. Otherwise you risk paying full price for a food devoid of many of its 'superfood' qualities! Not only does heat damage the delicate properties of royal jelly, but so to does light. It is important that you buy a royal jelly product that is packaged in dark bottles to ensure limited light penetrates the bottle. This is the case for both freeze dried royal jelly and fresh frozen RJ. It is also very important to look for a product that has both an expiry date AND a lot number. This ensures that not only are you getting fresh product, but I find this indicates that the company producing it has high quality control standards in place. 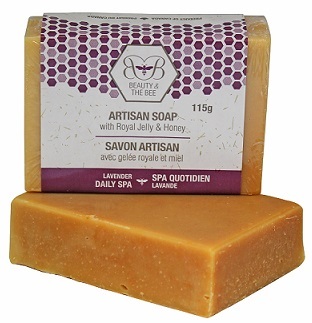 Dutchman's Gold has been producing award winning bee products for over 30 years. Starting out and remaining a small family operation, they've never 'sold out' to the 'corporate food factories' like many of their competitors. These large food factories don't operate with your health in mind. On the contrary, they're only goal is profit. 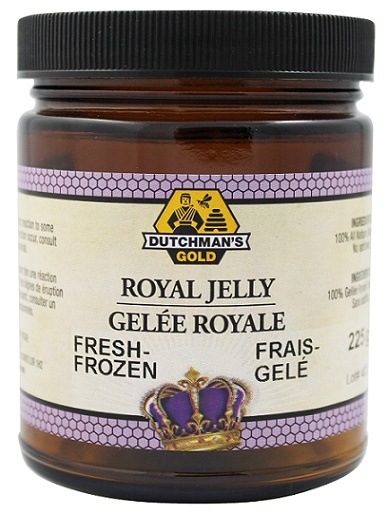 I guarantee you will love Dutchman's Gold royal jelly. If you don't, I will take it back. Just mail me the empty packaging and I will issue you a full refund. No questions asked. I believe in our product that much. 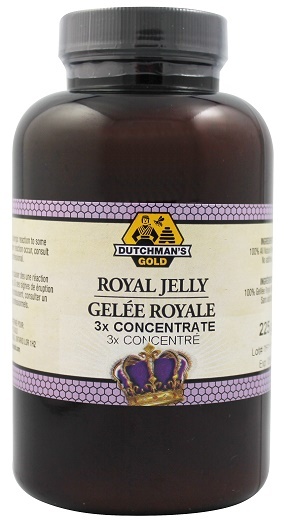 You can find the complete selection of Dutchman's Gold Royal Jelly products here.